In Lebanon, perhaps the shortest-lived season is spring. Fresh, crisp air; clear blue skies; moderate temperatures perfect for outdoor activities; birds chirping cheerfully…it’s absolutely idyllic, but you have to exploit it, for summer comes more swiftly with each passing year! Spring is also a time for a vast array of fresh produce, from artichoke and beetroot to strawberries and rhubarb. And if we Lebanese have mastered anything, it’s the dominion of the kitchen, with hearty, seasonal dishes year-round. Here are a few springtime favorites you might consider making yourself! Artichoke stew. Artichokes are most fresh from March through June, while their petite versions (baby artichokes) can be found from March through May. When buying artichokes, seek out plump ones that are dense with tightly closed leaves. Ardeechawkee bi lahmeh is exactly what the name implies: hearts of artichoke stuffed with a mix of ground beef, onions, and pine nuts, cooked in a lemony broth, and served alongside vermicelli rice. 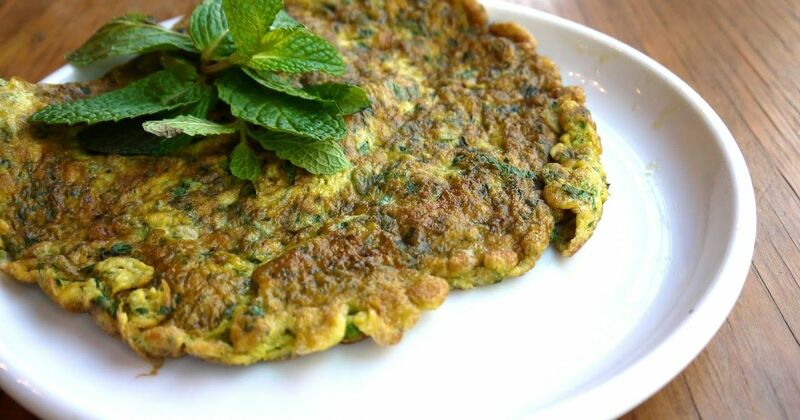 Here’s a fantastic recipe by Lebanese-American cookbook author and blogger Joumana Accad. Stuffed grape leaves. May is a good time to harvest grape leaves for stuffing. 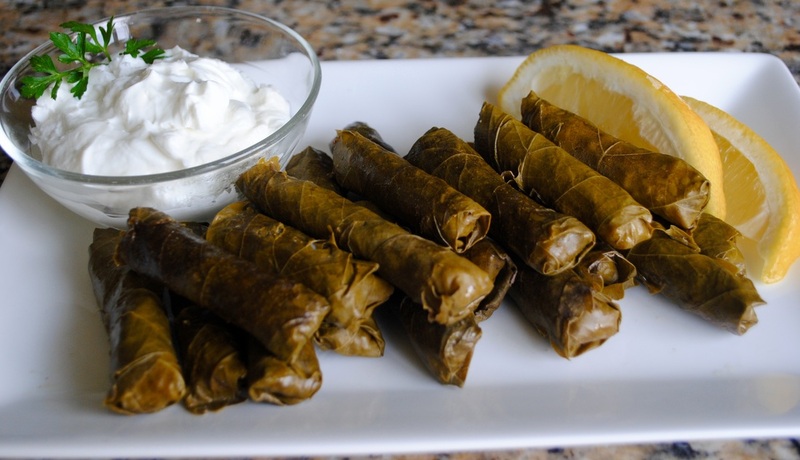 While a number of cuisines feature a variation of this dish – our neighbors to the north, the Greeks, are world-renowned for their iconic dolmades – the Lebanese version called warak arish or warak enab is distinctive. In fact, we make two different renditions, with and without meat. The former is usually stuffed with ground beef or lamb and rice and then lined inside a pot, buffered with a lamb rack to avoid charring the leaves. Enjoy warak enab with a cup of refreshing plain yogurt. Veggie omelet (3ijjeh). Leeks, a member of the onion family, are actually available year-round, but their peak season is the spring. These vegetables figure nicely into any soup, but why not make a savory omelet instead? Gather up bunches of parsley and any other vegetables on hand – zucchini and carrots work well. Dice everything finely, add egg and flour, and whisk away! You can either fry or bake the omelet, and if you pair it with a potato salad garnished with dried mint, you’ve got yourself a filling meal. Fava bean stew. 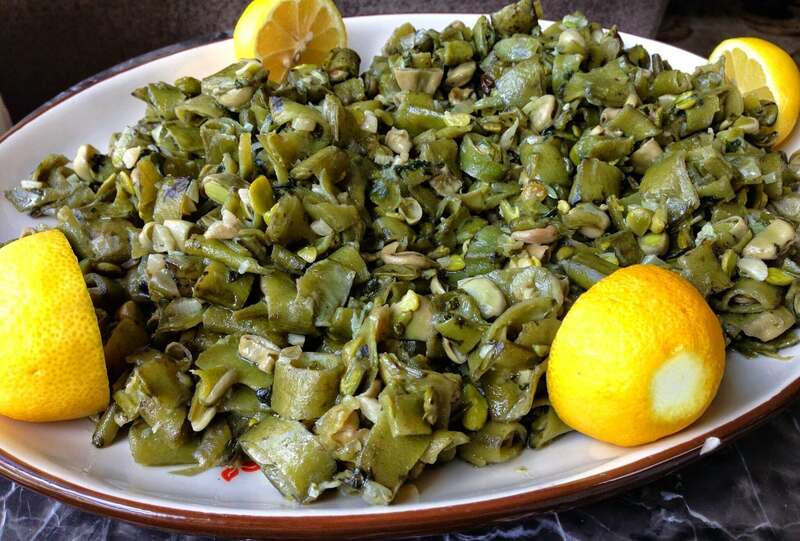 Foul akhdar, or fava beans, are an essential snack in any Lebanese household, right up there next to sour plums (janerik) and green almonds (loz akhdar). But at some point, eating them raw becomes monotonous, so why not cook them in a wonderful bean and coriander stew? You can even leave them in their husky shells, but take care to scrub them thoroughly. Adding in meat is optional. Strawberry Fruit Cocktail. How about something for your sweet tooth? Strawberries are a true spring staple, bursting with nutrients to support brain and heart health. They’re at their sweetest from April through July but can be found as early as March and as late as October. Use them as a base for a rich Lebanese-style fruit cocktail blended with kiwi, and top it off with ashta (clotted cream), a drizzle of honey, and slivered almonds. If that’s not a nutrient-dense snack (meal, rather! ), we don’t know what is!